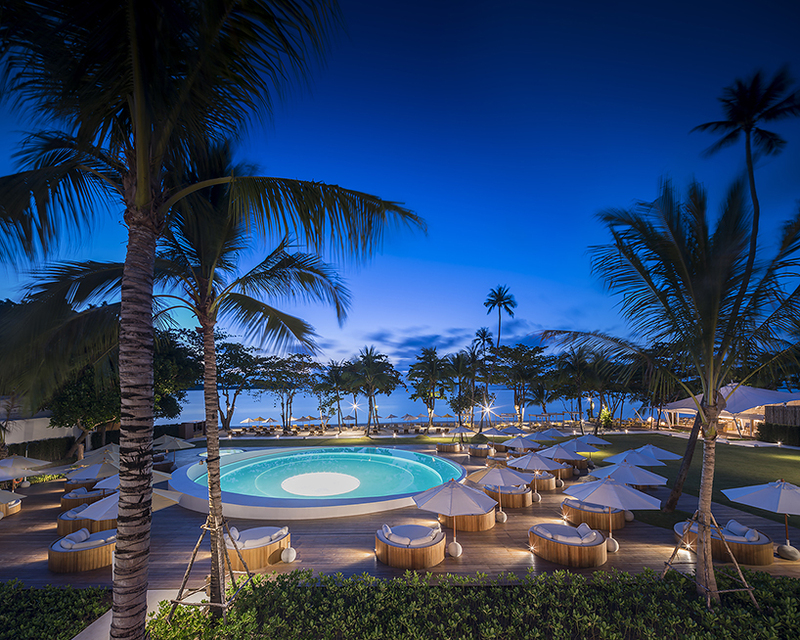 A newly designed and luxurious beach resort, Sala Samui Chaweng, is located on Thailand’s third largest island with a gorgeous surrounding view of Chaweng beach. 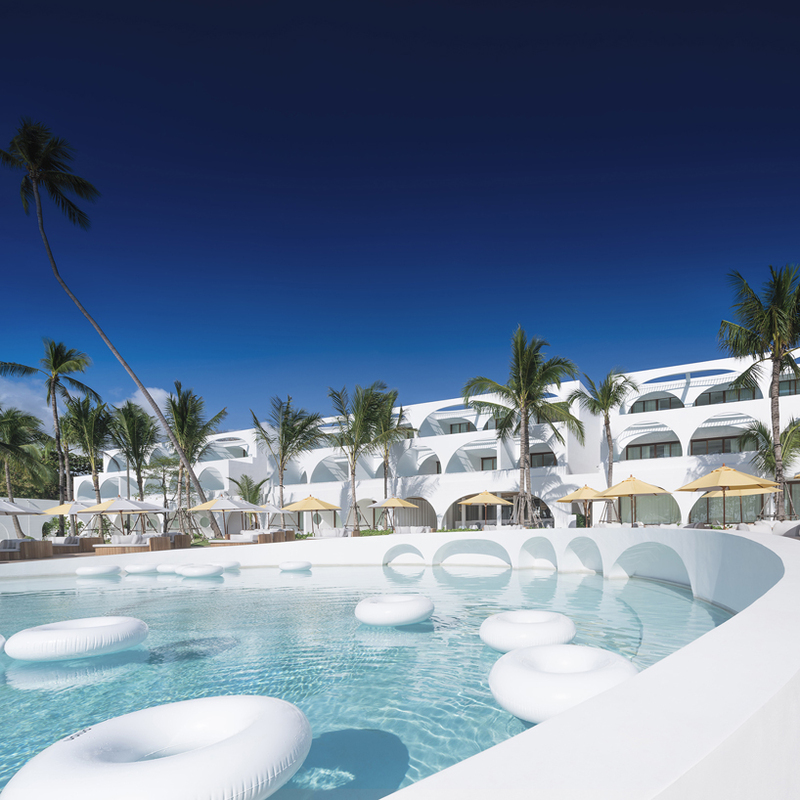 Each of the 138 guest rooms are designed differently but all come with their own private swimming pool and a view of the ocean. 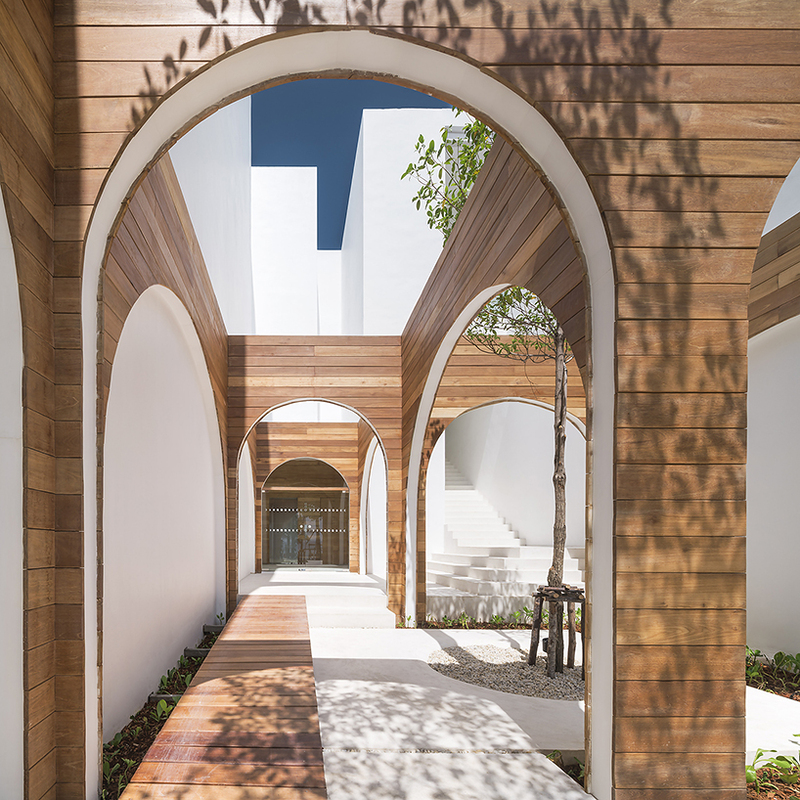 The use of the round shapes is predominant throughout both the interior and exterior design of the resort, including its layout. 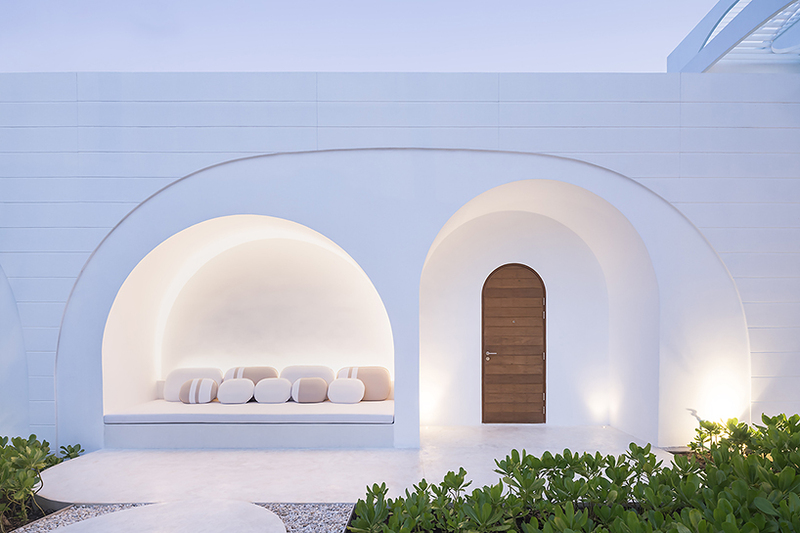 From the shape of the pool and the sitting areas around it to the sofas, tables, doorways and even the light fixtures. 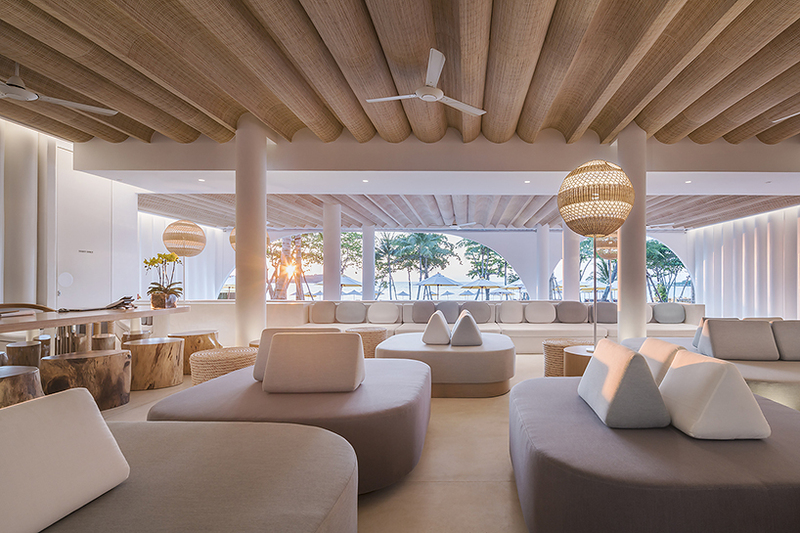 Like the island itself, the color palette for the resort is light and airy. 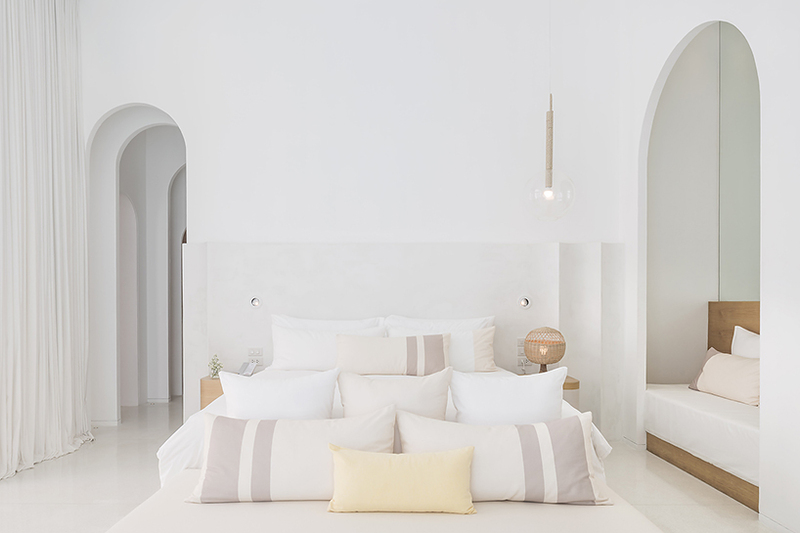 Mostly everything is pure white, with beige, cream, taupe and light brown wood accents. 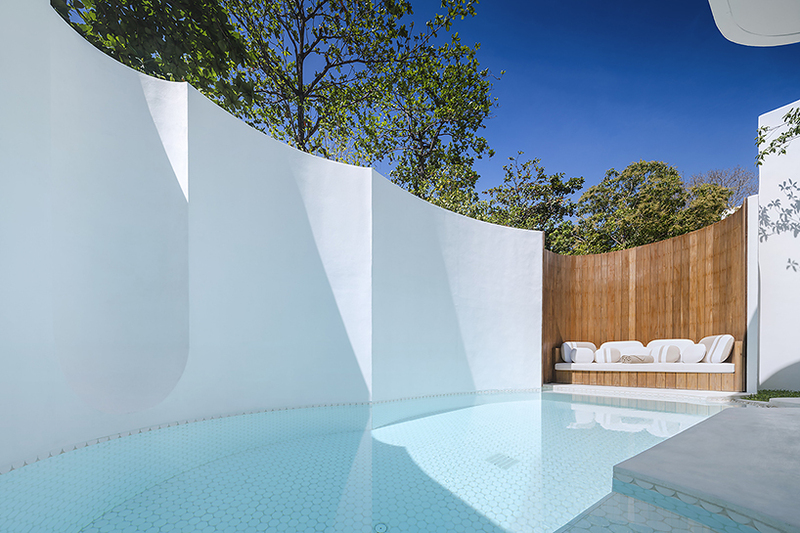 Every room and its swimming pool is surrounded by a tall, wavy wall for privacy. 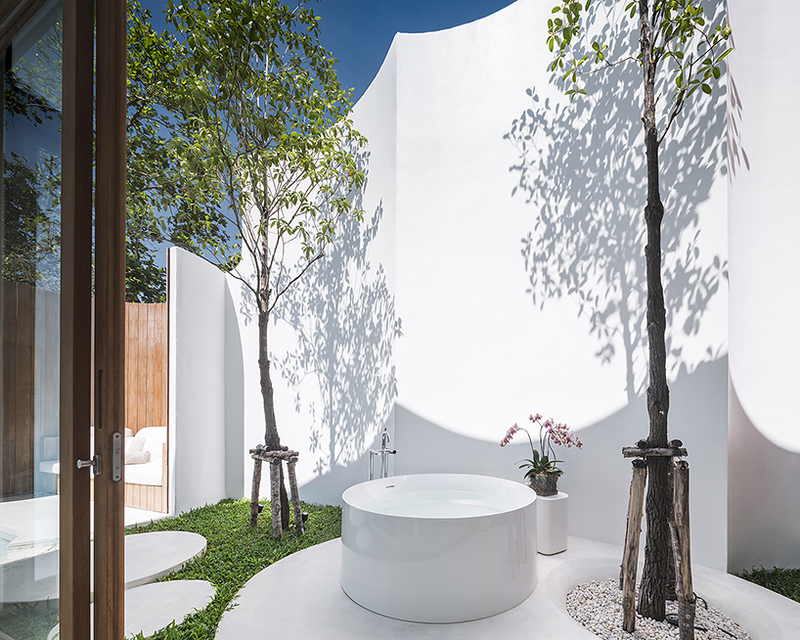 This is particularly useful especially since the area for bathing is located outside to enjoy the warm weather and to connect with nature. There are comfy nooks with soft seating and plush pillows built into the walls of the private rooms and in communal spaces where guests can relax or cozy up. The design is sophisticated and contemporary with an impressive use of shape and color.